John Boehner promises Benghazi committee won't be a "sideshow"
House Speaker John Boehner, R-Ohio, on Wednesday promised that the select committee to investigate the White House's handling of the 2012 Benghazi, Libya attack will be a "serious investigation." "This is all about getting to the truth. 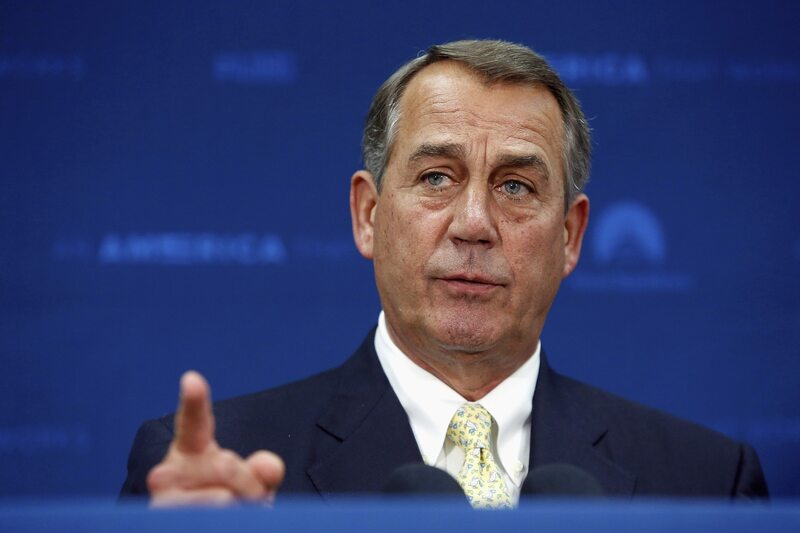 This is not going to be a sideshow, this is not going to be a circus," Boehner told reporters. "This is going to be a serious investigation. Our system of government depends on transparency and accountability." Democrats have charged the investigation is not only unnecessary -- there have already been seven separate investigations into the attack -- but amounts to a partisan dog and pony show. Benghazi: Politics aside, what questions remain? "Let's call this what it is -- it is nothing more than a political ploy because continuing to focus obsessively on repealing the Affordable Care Act has lost its luster, even among their own party members," Rep. Debbie Wasserman Schultz, D-Fla., who's also chair of the Democratic National Committee, said Wednesday, according to Roll Call. Boehner made the case Wednesday that while there have been other investigations into the attack, the select committee needs to address the recently-released emails that illustrate the way the White House prepared to frame the discussion about turmoil in the Muslim world in the days following the Benghazi attack. "It's clear that we need to proceed," he said. "Most of you know that I continued to believe until last week that our four committees investigating Benghazi had done a very good job. But a line was crossed last week." Republicans have decided the 12-member select committee will be comprised of seven Republicans and five Democrats, but House Democrats are urging the GOP to split the committee membership evenly. Wasserman Schultz said that Democrats "should seriously consider not participating if the process is not going to be fair." Rep. Trey Gowdy, R-S.C., who will lead the committee in its investigation said on MSNBC Wednesday morning that the process will "transcend politics." He said he would discourage Republicans from fundraising off of the committee's work. However, as the Huffington Post noted, the National Republican Congressional Committee shortly thereafter sent its supporters a fundraising email tied to the select committee's investigation.